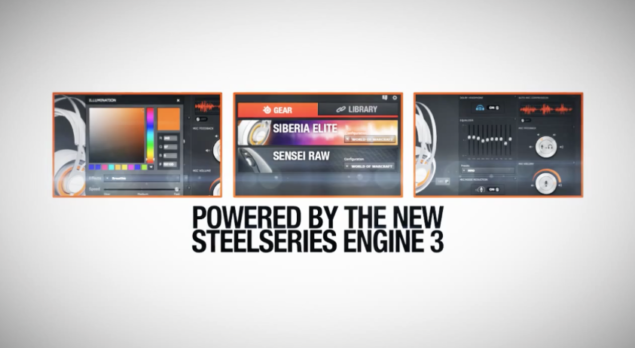 SteelSeries has announced their latest Siberia Elite gaming headset at Gamescom 2013 powered by their next generation SteelSeries Engine 3. 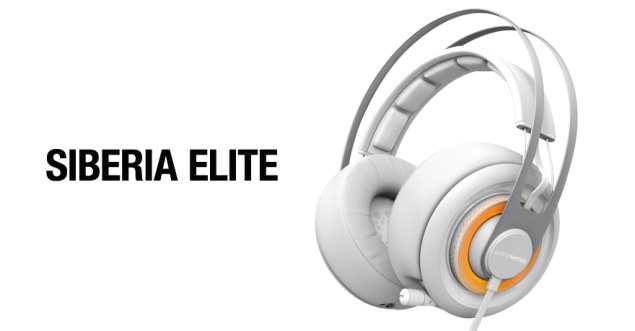 The SteelSeries Siberia Elite gaming headset Dolby technology for realistic 7.1 virtual surround sound and a comfortable design featuring retractable microphone, passive noise-isolating cushions and intuitive dials on the earcups to adjust volume and mute microphone. Press Release – SteelSeries, the leading global innovator of gaming peripherals, today introduced the Siberia Elite Gaming Headset. Delivering the newest generation and highest-quality SteelSeries audio drivers, the Siberia Elite headset is equipped with Dolby® technology for realistic 7.1 virtual surround sound. Siberia Elite’s amplified design includes extra-large memory foam ear cushions, SteelSeries’ signature Siberia self-adjusting suspension system connected to a sandblasted steel arc, and illumination with a choice of 16.8 million color options that radiate from each earcup. Dials on the earcups power the Siberia Elite’s audio and microphone-mute controls, while new levels of customization are supported by the newest version of peripheral configuration software, SteelSeries Engine 3. The new software will enable users to select illumination and equalizer settings, activate microphone features and more all through an intuitive and easy-to-navigate layout. Built for gaming and entertainment across multiple devices, the Siberia Elite offers limitless connectivity through its swappable cable system making it instantly compatible for PC, Mac®, tablets and phones. The SteelSeries Siberia Elite is $199.99 MSRP and will be available for pre-order starting in September 2013. For more details about the new headset, please visit http://steelseries.com/siberiaelite.